How to Shop the Nordstrom Anniversary Sale 2018 + What I Bought! It's that time of year! Yes, the Nordstrom Anniversary sale is on right now! 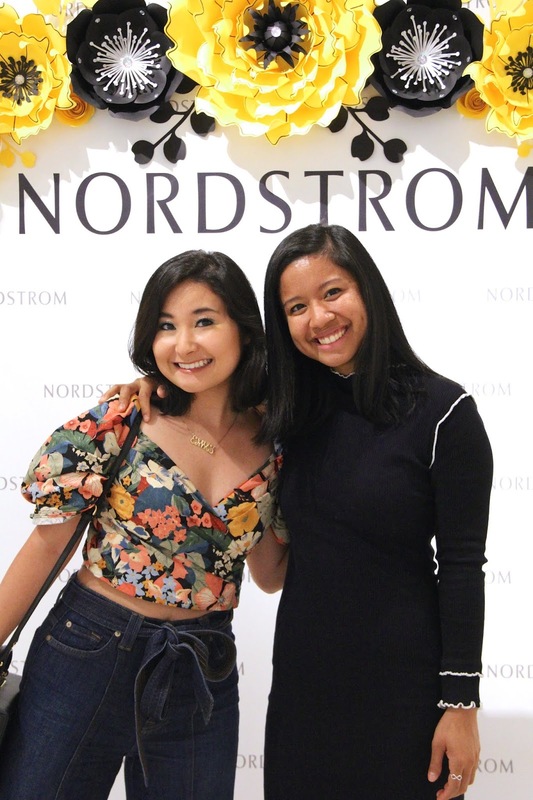 If you're not familiar with this sale, Nordstrom allows their cardmembers to shop new items at a discounted price before the public has access to it. After the sale is over, the items go back up to their original prices. 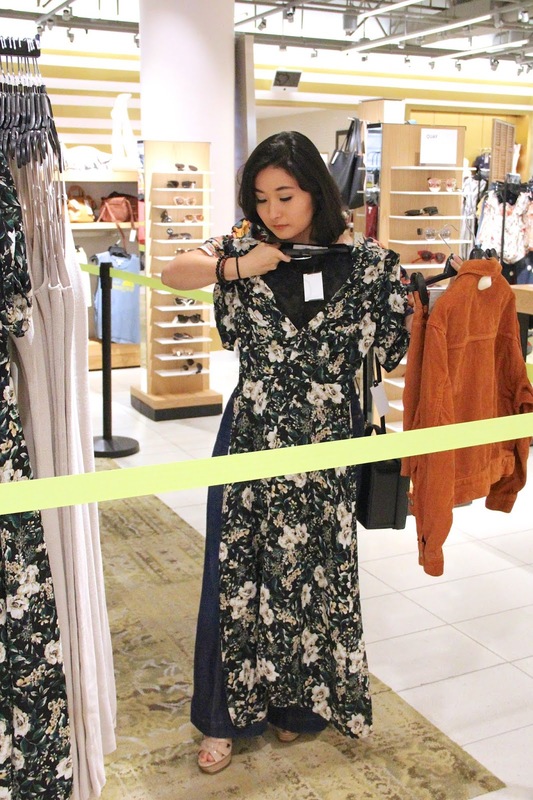 (For Level 4 Nordstrom card holders, the sale started on July 11th, but all cardmembers get to shop Early Access in stores and online from July 12th-19 before the sale is open to the public from July 20th-August 5. Sale prices go up on August 6, so be sure to check it out before then!) 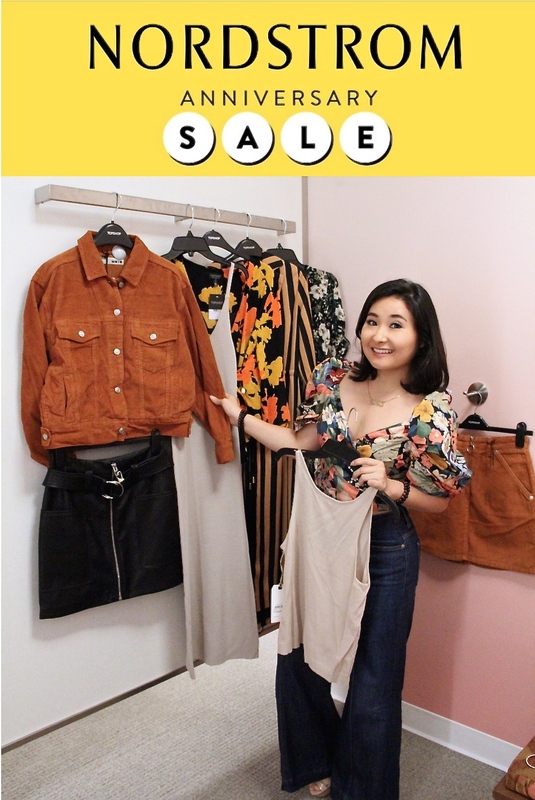 As you can see from the title of this post, I am going to share with you my tips on how I shopped at the Nordstrom Anniversary sale and what I purchased from the sale. Let's check it out! Tip #1- Look for the items you liked in the catalog. I usually head straight for that department and search for the item(s) or ask a salesperson to help me locate the items. This year I was fortunate enough to have Char, the assistant manager of the Topshop/Savvy department, to help me shop the sale. Tip #2- Scan the designated sale clothing area. Since nothing in the catalog this year sparked my interest, I quickly scanned through the racks looking for prints, colors, and fabrics that would catch my eye. One item that stood out to me was this Topshop corduroy jacket. I've been on the lookout for a jacket just like this for a while, and the rusty orange color is beautifully bold. This was the first item I grabbed, followed by the matching skirt. Tip #3- Think about style and fit. When I'm collecting items to try on, I always look at the silhouette of the item before I choose a size/sizes to try on. For example, I chose a larger size for the jacket because I love the over-sized feel. In the photo above, I am holding a dress up to myself, testing to see if it would be too long on my petite 4'9" stature. As a short gal, length is always something I have to keep in mind when shopping for pants and dresses. However, always remember that you can have your item altered at Nordstrom or any other tailor if you really like it. I do it all the time! Let me tell you, there's nothing better than having a clothing item tailored to your body. Char is always such a joy to see! She always keeps me up to date on sales and makes shopping at Nordstrom such a wonderful experience. Here we are just about to head towards the fitting room. Tip #4- Re-evaluate your picks in the dressing room. I don't know about you, but I like to organize and quickly re-evaluate the items I pulled as soon as I get into the dressing room. When I see the merchandise hanging on the bars, I quickly scan to see can see if I have too many items that are the same color or style. By doing this, I can prioritize the items to try on based on which ones I like best, choose between the similar items, and place the ones I know I do not want in the "go back" pile. Other times, I just try EVERYTHING on. 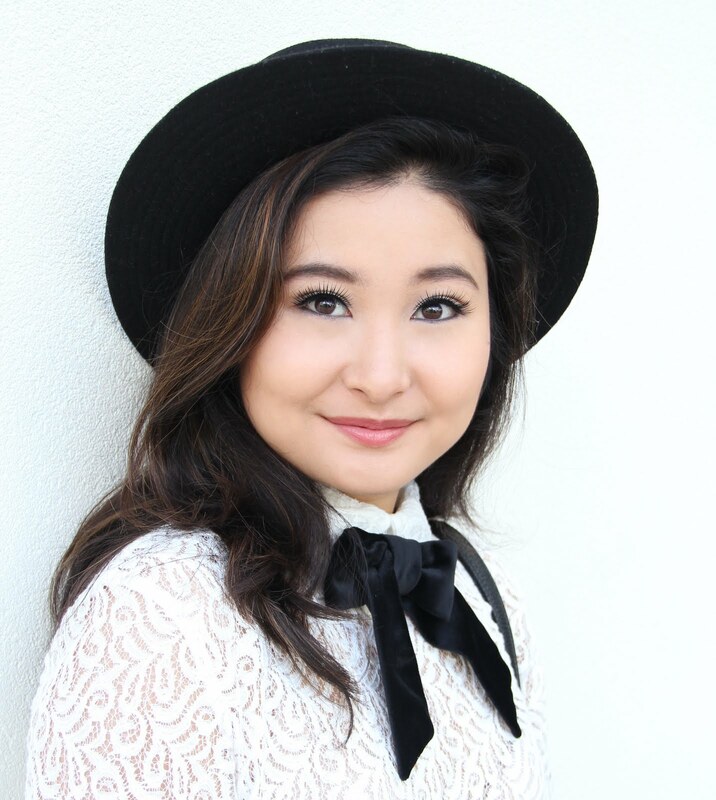 Tip #5- Begin to style/pair items together. I always find it helpful to start pairing items to try on together. This forces me to think of ways to wear the item and it helps me to only buy items I know I can incorporate into my wardrobe at home. Tip #6- Try them on! Tip #7- Time to accessorize! If you're a jewelry fiend like me, you can't leave the store without browsing through the jewelry sale section. While I shopped in the clothing department, I saw the bib necklace (shown in the first photo) and added it to my list of items to try on. I checked the jewelry section a second time and I found a pair of rhinestone hoop earrings. A touch of sparkle can make any outfit shine! So, here's what I ended up purchasing from the Nordstrom Anniversary Sale! 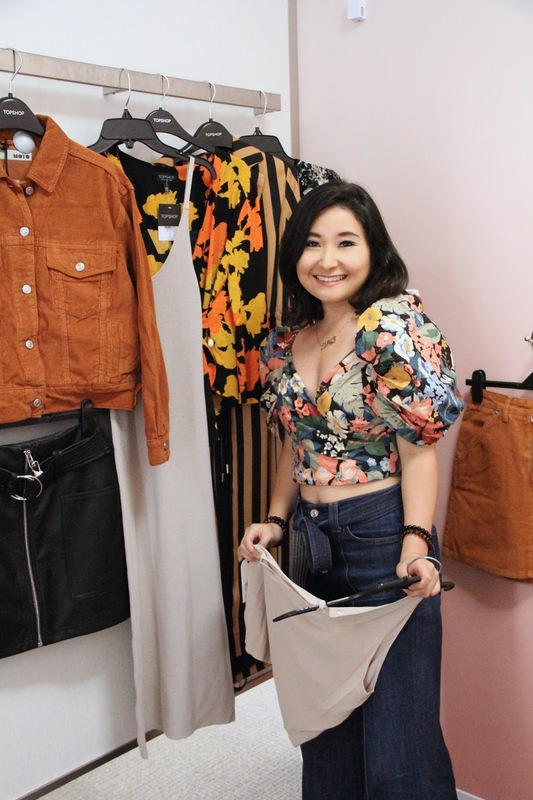 Most of the items I tried on came home with me, but I left the Topshop floral wrap top and ASTR gray bodysuit at Nordstrom for someone else to buy. I've linked all of the items below for you, except for the ASTR floral dress because it was sold out. Everything else is just a click away! And . 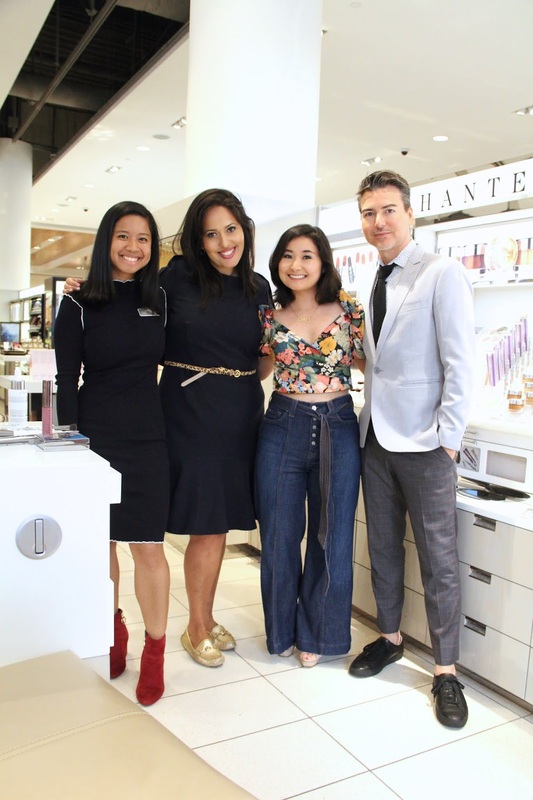 . . before leaving the store, I also checked out the Chantecaille counter in the beauty department and I had the chance to see Raquel and meet Fernando Cadavid, a Chantecaille global makeup artist, for the first time. They added a bit of sparkle to my look by adding a touch of green eyeshadow, cobalt blue eyeliner, and a shimmering highlighter. I loved the products so much, I ended up purchasing them. I cannot wait to reveal a new makeup look and share these products in my July favorites post. Stay tuned for that! 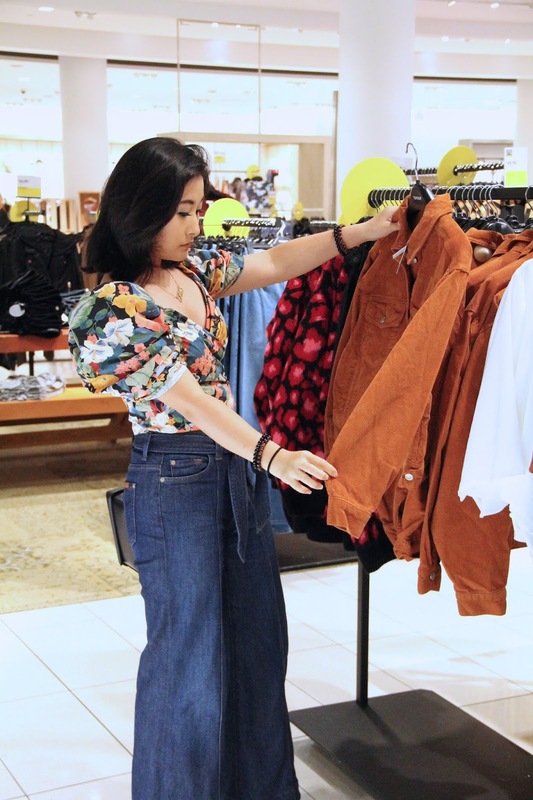 I had such an amazing time shopping the early access anniversary sale at Nordstrom Hawaii, and I hope you have a chance to check it out and maybe purchase a few new sale items for your summer or fall wardrobe! Thank you, Char, for making this shopping trip such a wonderful experience, and thank you to Raquel and Fernando for the makeup tips and for showing me how to create my new colorful summer makeup look. And a huge thank you to you for reading this long blog post! 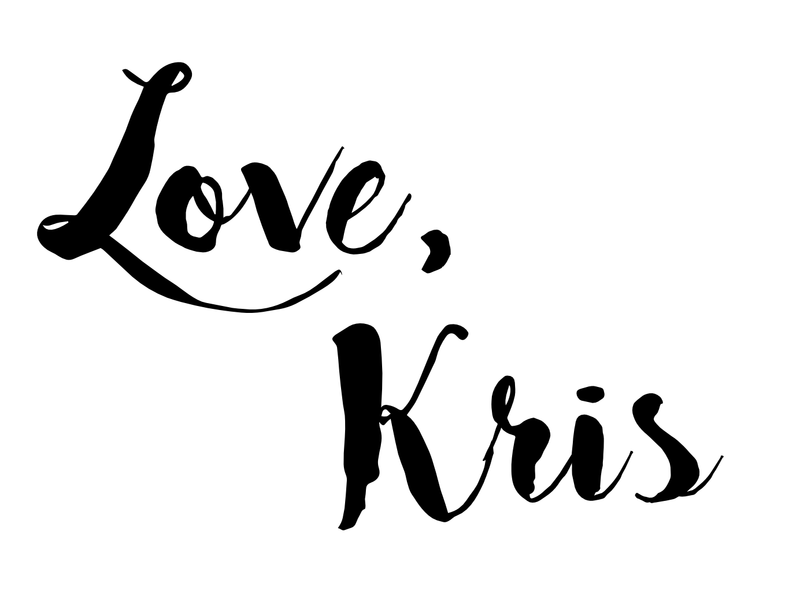 I hope you enjoyed reading it as much as I loved writing it. As always, I am sending you lots of love from my heart to yours! Thank you so much, Anna! The sweater dress is one of my favorites, too! Thank you so much, Anna! You are so sweet! I'll check it out! My goodness, you are adorable! 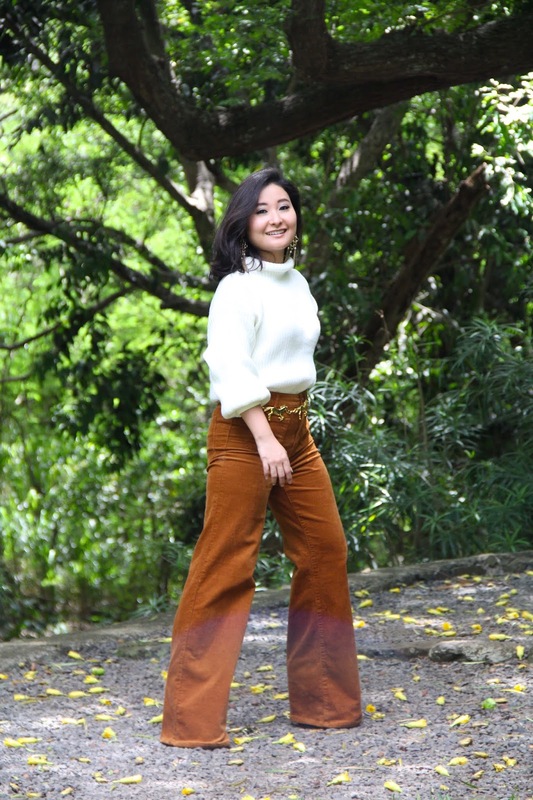 I love the floral cropped top, those palazzo jeans, and the sandals. Many of the different outfits you wore in taking advantage of this Nordstrom offer are lovely. I don't have any real favorites, but you are styled well and looking like the sweet eye candy you are. Much love! Thank you so much, John! You are so sweet! Thank you very much for stopping by my closet!